Whether rented or owned, your apartment is the first place your little ones explore. As you make happy memories with your tots, the last thing you want for them is to suffer injuries due to an unsafe home environment. However, if you live in rented accommodation, it can be challenging to baby proof your abode. This is especially true if your landlord is not flexible about changing the décor and the fittings in the apartment. Tenants with kids have a lot to worry about, finding the perfect school districts, storage for toys, neighborhood safety and more. Fortunately, tenants with kids can identify and overcome the safety concerns without jeopardizing their relationship with the landlord. Wondering how to make your rented home kid-friendly? The tips shared below will help you get started. Do you see any potential falling hazards, like an open staircase or balcony? Are the glasses on the windows coated with shard-proof films? Do the window or door blinds have long cords attached to it? Unsecured cords could be a strangulation hazard for kids, hence it’s best to replace or secure them. How old is the rental property? Most buildings constructed before 1978 used lead paint, which is a potentially life-threatening chemical. Think from a child’s point of view. If there’s an open electric socket under the table, it may not be visible at an adult’s height, but may seem entrancing to an inquisitive crawler. Get on your knees and identify the potentially dangerous areas in the apartment that may be accessible to or tempt your kid/crawler/toddler. Invest in window stops, locks, and guards, toilet lid locks, door knob locks, door holders, cabinet and drawer locks, electrical socket covers, and corner guards to protect your kids from potential hazards. Children are smarter, stronger, and more curious than we think. These gadgets will allow your young ones to satisfy their innate desire to explore their surroundings while keeping them safe. In the U.S., suffocation, drowning, burns, and falls are the most common accidents that cause serious child injuries and fatalities. Therefore, it is important to kid-proof the kitchen, bathrooms, staircases, and other high-risk areas. Further, secure the area where you store medications and poisonous chemicals, such as detergents, cleansers, insecticides, and mothballs. Since it’s a rental, you may not have the liberty to drill holes into the walls or install a safety gate or a barrier. Invest in pressure mount gates that are easy to set up, portable, sturdy, and need not be drilled into the wall. You can install these gates into different portions of the house, especially the kitchen and bathrooms, preventing your kids from accessing these areas. Creating a play area is an effective way to encourage your kids to be independent while ensuring their safety and your peace of mind. If you have a toddler or a crawler, make sure his/her playpen slats are narrow enough to prevent his/her head from getting stuck between them. Also, the gates should be properly fastened, eliminating the chances of him/her wandering off to the other rooms. For older kids, designate a room in the apartment which has plenty of storage area at a lower level, enabling them to reach for their toys, books, and knickknacks with ease. Remove or cover the sharp corners or edges with cushioning guards. Further, furnish the room with child-friendly furniture and fixtures and foam playmat or soft carpet to prevent serious injuries in case of accidental slips or falls. The federal law holds the landlord liable for ensuring the safety of the rental property. For instance, if your rental apartment has a fireplace, your landlord is legally responsible for hiring a reputed chimney sweep to clean and maintain the hearth and chimney. Thus, if you have moved into an apartment in Seattle, make sure your landlord shows you the necessary documents provided by a reputed Seattle chimney sweep, certifying that the apartment fireplace is safe for use. Every state has different safety codes, occupancy standards, and regulations for rental apartments. For instance, most state laws dictate the number of smoke and carbon monoxide detectors required in an apartment. Similarly, undersized apartments in cities can be a cause for sub-standard quality of life, home accidents, and diseases. Consequently, several states have set occupancy limitations for rentals, thereby preventing overcrowding. The New York State’s occupancy standard, for instance, mandates minimum 70 square feet bedroom space for one occupant and 50 square feet additional space for each added member. Being aware of these codes and regulations will help you understand your rights as a tenant and take measures to make your apartment kid-friendly. 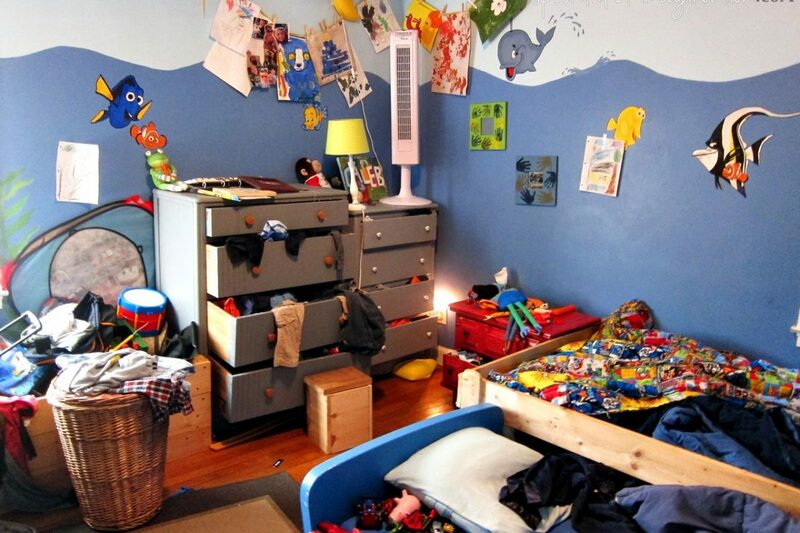 When it comes to making an abode safe for children, rental apartments often limit a tenant’s creativity. Yet, child-proofing the apartment you live in is essential for your kids’ safety and health. Use the tips shared in this post to make your rented dwelling safe for your little explorers.